How many of your closest male friends have been going back and forth about deciding whether to throw a perfectly good shirt away because of a missing button? However, clothing alterations should not be done by just anybody claiming to be a tailor. So, how can you pick the best tailor to help fix or totally transform your pieces from good to modern, perfectly-fitting and awesome-looking. The web is buzzing about a new trend in shopping – online tailors. Yes, that’s right, online shopping geared towards people looking for a well fitting, good quality, and customizable dress shirt. Why People are moving towards online shopping?? Internet habitual consumers are rapidly growing around the world. An Internet habitual consumer is a consumer who is comfortable in conducting complex tasks on the Internet. With growing niche of Internet habitual customers, e-tailing shall grow at a faster place. Online websites for social e-commerce for fashion enthusiastic are an added advantage to these Internet habitual fashion customers that let users post pictures of their outfits, which are then surfaced and showcased to others. Online platform plays an important role in today's trendy world.people search only in online products because of its quality and cost effectiveness.Tailoring industry also takes its step to enter into the online world.Tailoring industry has entered into the online world by providing a tool for tailor's to make their task an easier one. Many tools are available in the market.only some tools provide sophistication.one such tool is Fit4bond.Fit4bond is known for its excellent features.Fit4bond tool can change tailor's life style.If tailor's use this tool he can spend more time in designing his garments. 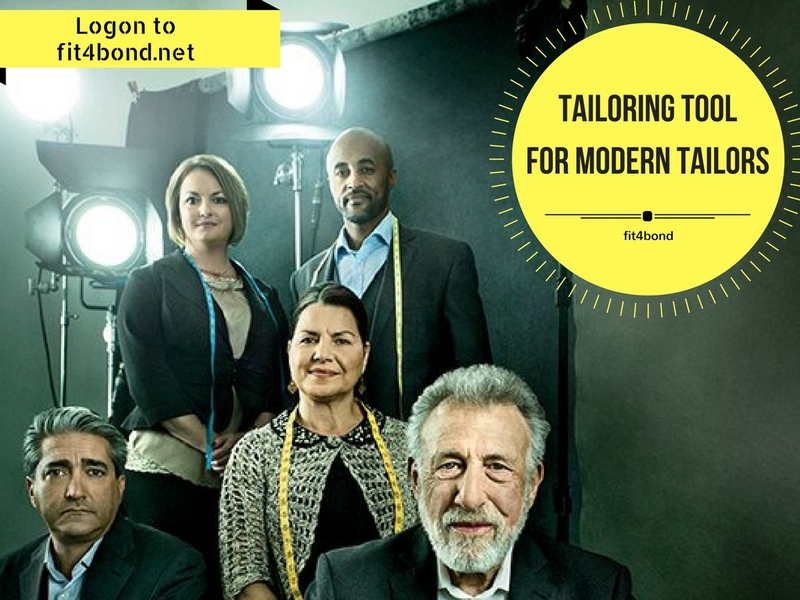 fit4bond is a tool to explicit your client's designs.The world is moving towards online world.so its time for tailors to step into online tailoring platform. Want to know about Fit4bond features -------> Book A Free Demo Today! !